The sale of bootlegged Champagne must have gone up tremendously yesterday. Reason: the end of the longest ‘solar eclipse’ that immersed the fine wine drinkers of Maharashtra in darkness for two years. The excise department finally announced the policy that was reported in delWine earlier. The new policy issued through the government notification dated July 22 was doing the rounds for the last few weeks, but becomes operative with immediate effect. This brings down the duties from a fixed 200% to a slab rate and hovers around Rs. 225-Rs.500 a bottle, more or less the same as it was before the government implemented the new policy on July 8, 2007. The biggest beneficiaries will be the fine wines. 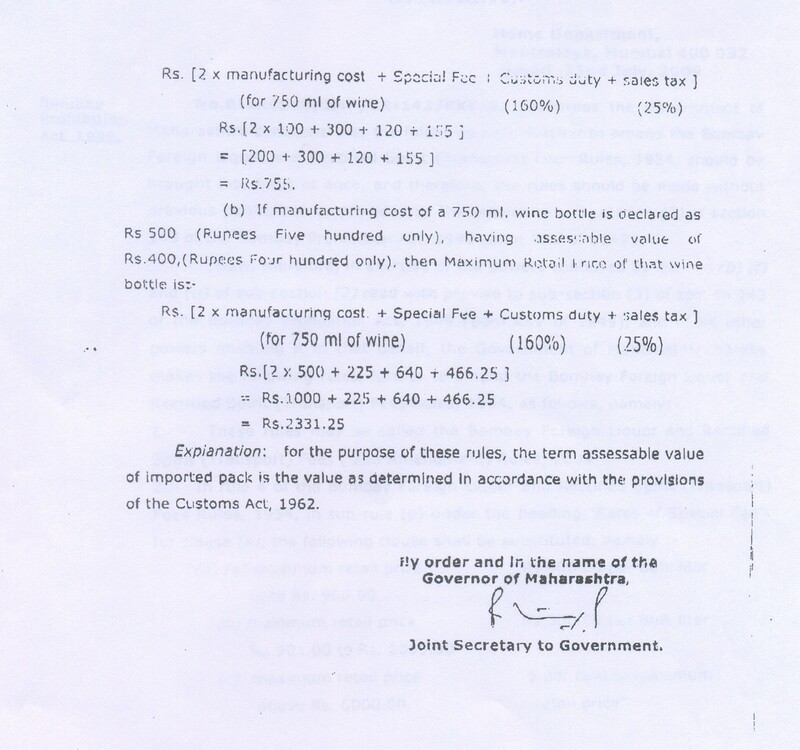 As an illustration, if the CIF value of a wine is around Rs.2000 (before customs duty), the duty reduction will be from Rs.4000 to less than Rs. 500 under the new formula. Superimpose the VAT impact of 20% and the wine price comes down by a whopping Rs. 4200 (All calculations are approximate and as illustration only. See notification for the exact impact. There is no doubt that apart from the celestial bodies, efforts and pressure by EU through WTO were also instrumental in the change. The central government had reportedly exerted a lot of pressure on Maharashtra government to see the reason. With the latest amendment, the pressure from these bodies will considerably reduce. Even delWine and Indian Wine Academy who were vociferously and voraciously opposed to the arbitrary and unjust policy feel it is an intelligent and fair move. In Hindi, there is a saying ‘der aaye duroost aaye’, which roughly means‘it is better late than never.’ Maharashtra has been one of the most progressive states of India and one could never comprehend the regressive step they had taken two years ago. The business suffered badly and was in a suspended state for 14 months out two years, with the consumer left to suffer. The importers are quite ecstatic. Craig Wedge, the young Australian Sr. Vice President for Branding and Business Development in FineWinesnMore, founded by Dharti Desai,’ “Finally, an equitable playing field for wine producers and most importantly the drinking public of Maharashtra. Finally, the politicians in this case deserve a pat on the back. Small business can now profit from realistic sales potential and the development of a fabulous industry”. With the new policy, it will be business as usual for Maharashtra. The importers, hoteliers and the consumers can go back to the favourite, healthy beverage. Even the producers are a happy lot as they are well protected- excise duty on wines costing less than Rs.900 has been kept at Rs. 300(with VAT, this comes to Rs.360). With this advantage, the producers get a ‘level playing field’. If with this difference in prices they are unable to sell their wines, they do not deserve to be in the wine production business-they certainly do not deserve any financial crutch. There is MORE than Fine Wines benefiting from the government policy during the last 2 days that is a cause of cheers to the local producers. The VAT which had been increased to 25% on July1 came to their rescue. They had pressed the panic button and approached Mr. Sharad Pawar who immediately held several meetings with various ministers and excise and finance officials. The mandate was clear-wine is an agro product and the farmers of Maharashtra who are suffering due to the downturn in the wine economy need to be saved. So Mr. Pawar pressed for a downward revision to 4% VAT, the amount charged as Sales Tax on wines before the VAT came into force in Maharashtra. With this reduction, the basic fears of farmers and producers have been allayed. Going a step further, the earlier policy of 2001 which was supposed to expire in 2011 has been further extended till 2021. This may also help the executive to better handle the Aurangabad High court case wherein it had directed the excise department to collect the duties waived for the producers and refund to the farmers. The case is being adjourned at regular interval and will hopefully die a natural death. One irritant has been left in the VAT reduction- the out of state wines and imported wines will still continue to pay the excessive VAT, albeit at the lower rate of 20% which was increased to 25% for all wines on July 1. On the face of it, the discrimination seems to be illegal and unjust. But on getting the VAT records checked, delWine has discovered that the VAT actually remains at 20%. The agriculture ministry will give a subsidy of 16% to the producers from a special fund. This is similar to EU norms where funds are given by the body to encourage viticulture in specific regions, like Sicily where the farmers were subsidised till a few years ago to encourage them to grow vines. It will be important now for the Maharashtra producers to roll back the price increases, if they are sincere and want to prove that their grudge was bonafide. Yatin Patil, owner of Vintage Wines confirmed to delWine, ‘when the duties were increased, we had passed on the increase in some cases but in the entry level wines like Chardonnay and Shiraz, we had absorbed the duty increase where we shall not reduce the prices. For Chardonnay and Cabernet we shall roll back the prices fully’ DelWine plans to carry a survey during the following months to bring to the readers the impact of duties passed on to the consumers and whether they have rolled back the prices to the original level. It is interesting to note that the excise and VAT department do not work in collusion or co-operation. The notification dated 22nd July 24, 2009 calculates the MRP at 25% VAT and not 20% which was also announced on the same date. 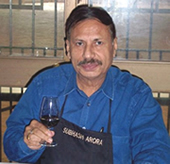 Maharashtra government has clearly paved the way to promote Fine Wines and More….it is for the importers and the Indian producers to now rise to the occasion and let the consumer taste the difference…not only on the palate but their pocket as well. Atlast some reprieve (even though its little) to people like us who live in Maharashtra.